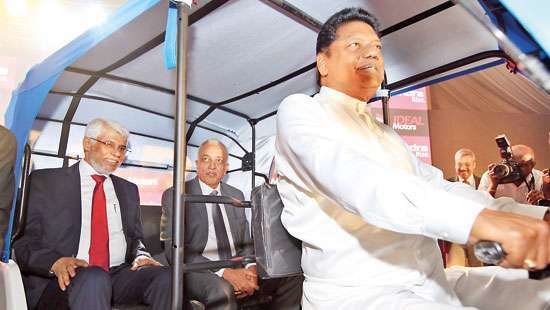 Colombo, March 28 (newsin.asia) – Sri Lanka has launched the first ever electric three wheeler, a popular mode of public transport, keeping in line with the government’s vision of creating a greener, healthier environment, local media reports said here Thursday. The electric three wheeler, more popularly known in the island as ‘tuk tuk’s’, was launched by India’s Mahindra Motors in partnership with local agents, Ideal Motors. Minister of Development Strategies and International Trade, Malik Samarawickrama, who launched the electric three wheeler in the country on Wednesday said the government aimed to go electric in the near future and welcomed such investments. He said Mahindra and Ideal motors were also in discussions to open a vehicle assembly plant in the country in June. Ideal Groups Chairman, Nalin Welgama said the company was striving towards introducing greener vehicles keeping in line with the government’s vision. Pointing out that India was attempting to go electric by 2030, Nalin said Ideal Motors too would help Sri Lanka become more energy efficient and environmentally friendly.